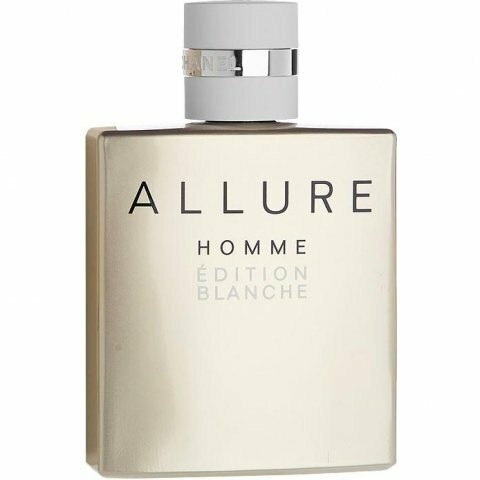 Allure Homme Édition Blanche (Eau de Parfum) is a popular perfume by Chanel for men and was released in 2014. The scent is citrusy-fresh. It is still in production. According to our information, this scent is meant to replace Allure Homme Édition Blanche (Eau de Toilette Concentrée) starting from 2014. 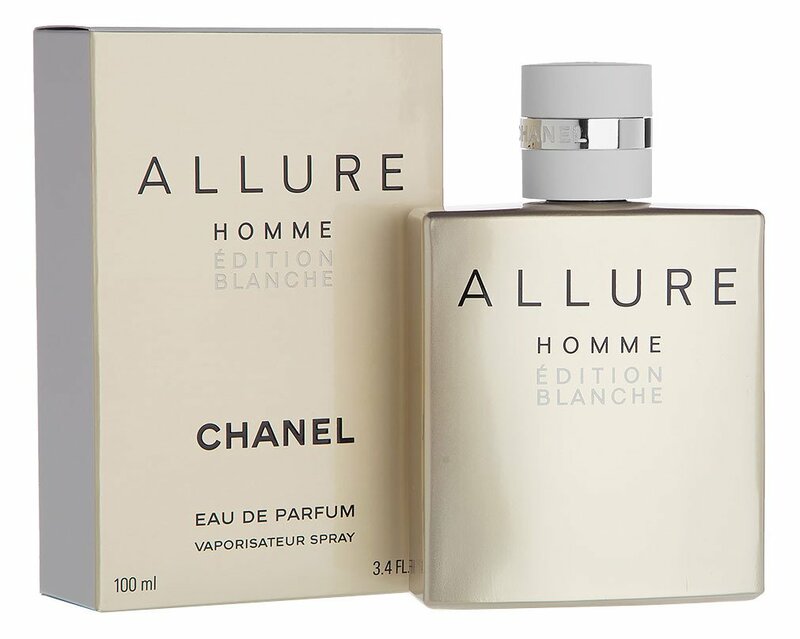 As this happened without any announcement from Chanel, it is not possible to state whether Allure Homme Édition Blanche (Eau de Parfum) comes up as a mere renaming of Allure Homme Édition Blanche (Eau de Toilette Concentrée) or an actual formula/concentration adjustment. That's my first comment. I wouldn't have dared, but my predecessor inspired me! Hey, LilliCreative, are our noses related? I smell oranges, too. Maybe it's the bergamot (these two are a great pair: sweet lime and bitter orange) or just smell girls different... he-he! My Number One! Forever and ever! To me, it's a romantic! I like to be kidnapped by him... "to a desert island full of orange trees", he-he! This romantic is headstrong, strong and persevering... You know what I mean ;) He'll never disappoint a woman! Me on a deserted island and the bottle of this dream fragrance... An island full of orange trees... Fragrant flowers in full splendour... I have a juicy orange in my hand... Oh, how I love that! The juice drips from my thirsty lips and the paradisiacal delight fills my senses. I taste the sweetness that's driving me crazy, I want more of it! I long for it... of this seductive scent. I would follow every man who smells so irresistibly... I'm all alone.... on a deserted island full of orange trees. I love that scent! My dear friend... is that what they say anymore? I haven't heard it from anywhere lately. Generally, many things disappear and come very quickly, you know their value, even the emotional value hardly anymore. Sometimes it's just nice to have an unchanged constant, a dear friend who isn't always around, but when he's there or calls, it makes the day a bit better. >>And indeed you are. I mean that expensive even ambiguous! My best, you're like the proverbial good book where you don't want to read the last pages. I'd never have an empty bottle of you standing around, a new one each time. I'm not talking about consuming you inflationary, that wouldn't do you justice indeed. You are rather someone for special and extraordinary occasions, one does not meet you always and everywhere. You like to make yourself scarce, but that makes you even more interesting when you are met! Once the top note has been flushed down a really good fragrance! The artificial, shrill lemon slowly fades into the background, but something lemony definitely remains throughout the whole process, although it smells more like a really nice freshly baked lemon cake at the confectioner around the corner. Beautifully soft, harmonious, almost creamy but nevertheless undeniable with a certain freshness. That goes almost a little in the gourmant direction, just delicious. Especially the certain sweetness that this fragrance develops in the course, I push the total cover the toilet duck towards. After the top note a really wearable lemon scent that simply has to give you warm feelings. Others also like it very much, but you should always pay attention on a date to spray on the scent in time, the first impression does this scent really wrong. Today I got a bottle of this wonderful Chanel fragrance from the perfumer Chris Aqua. First I tested it several times in the perfumery and was always a bit ambivalent. Clear recommendation to buy on my part. To cut a long story short : The base reminds me a little of Bleu de Chanel (with the sporty fresh scent of lemon). Not too pushy - very wearable in the office and on warm days. For me - next to my Aventus - a long runner in the business everyday life and already brought many compliments from both sides. I'm going to write this comment a second time. What do you mean? Because I was smart enough to place my lines with Eau Concentree. So be it. Comment deleted and...yes first nothing new written. In the winter not at all in my field of vision I have completely forgotten EB. It hung up yesterday for ages. It clicked in my head. There was something! The missing evaluation. Lucky for Chanel, he gets away a little better now, even though he still can't fully convince. Thank God Moschus and Tonka will play along at some point and it will be very creamy. So really creamy lulling. Like I stuck my nose in a cake. Beginning with the phase, the fragrance is a dream and my wrist wanders continuously to my olfactory organ. The shelf life is surprisingly good for a fragrance that is more likely to be placed in summer, although it is rather untypical and leaves the fresh citrus-floral realms. He shines well and is also very welcome to the outside audience. On my "fragrance journey" I had great difficulties finding summer fragrances or fragrances for the warm seasons that suit me. I just like the heavy, sweet, spicy ... Fragrances for the cold seasons rather. I didn't like the classic Dior Sauvage at all, I smelled Aqua di Gio Profumo too adult and rather a scent for the evening, Virgin Island Water and Silver Mountain Water smelled feminine and Azzaro Chrome and Nautica Voyage smelled too syntetic and boring. Are just a few examples of many. I like citrus scents the least. So it's all the more surprising that I rate Edition Blanche 10/10 - in terms of fragrance. The first time I wore it, the scent didn't knock me out, it was all right. But then at the second and third time I found him all at once absolutely great. The scent smells like creamy lemon, or like a lemon cake (I prefer chocolate-like cakes to lemon cakes). He simply has something special and smells very high quality and summery. I am super glad that I have finally found a very good fragrance for the warm days and can recommend it to everyone here and I am curious whether I will discover such a great summer fragrance on my trip. Some complain about longevity of this one, but on me this lasts all day. Fresh lemony scent on a woodwn base. A liitle more formal than casual. My favorite Chanel fragrance.